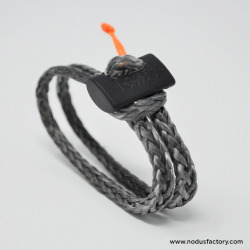 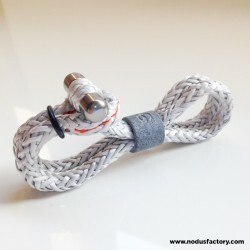 The K universal soft shackle, with Adjustable Loop is easy to use, very lightweight and withstands heavy loads. 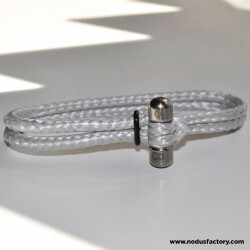 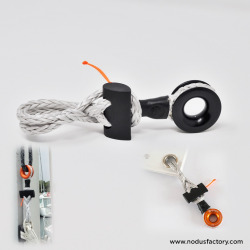 Multi-purpose, universal adjustable shackle for pulleys, boom, sheets, halyards, sails, lazy-bag, etc. 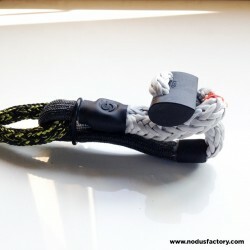 Flexible soft shackle, to ensure perfect in-axis loading.